Ms. Audra Mae performs at The Hotel Cafe. “Addicted To You’ is my favorite track from the record because it is connecting to stuff in my personal life on top of being chilling. What love song doesn’t? Romantic problems. However, can never really hate songs that take my breath away. This one will. Might also make you want to do the tango in anger. Whichever comes first. Nothing more to say. Enjoy this and go buy ‘TRUE’! Of course, the highlight of the track is Audra Mae's smokey yet soulful voice. 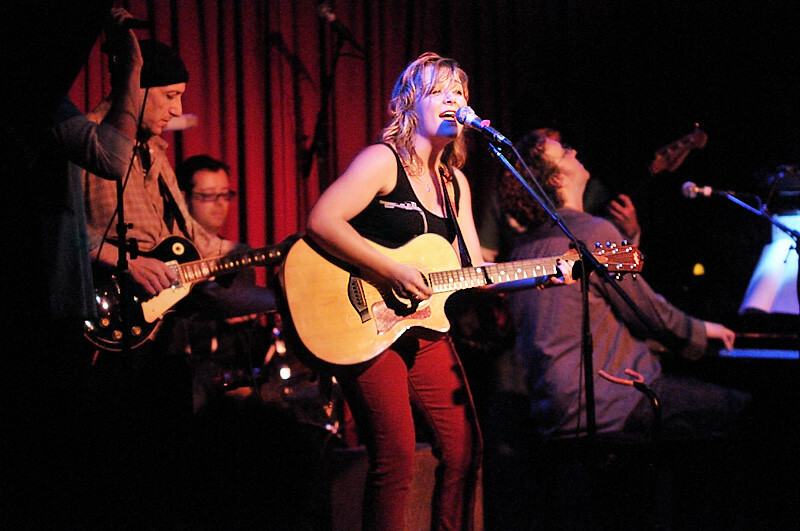 She's a local singer, transplanted from Oklahoma and we've had the honor of following her since 2008 when she was playing smaller venues like Genghis Cohen and Hotel Cafe and was actually performing classic Americana before Mumford and Sons and The Lumineers made it hip again. Mae’s strengths rely on weaving inspiring melodies that express a tragic melancholy, proving that simplicity, to the point of near silence, can hold the purest of emotions. Since then she's collaborated with some of the biggest names in music. Other than working with Avicci, Ms. Mae has been featured on tv shows, singing a cover of Bob Dylan's "Forever Young" on FX's "Sons of Anarchy," she wrote the only original song on Susuan Boyle's debut album, helping it become 2009's second best-selling album and she penned "Somebody Loves Somebody," for Celine Dion's upcoming album Loved Me Back to Life which drops in November.